"Picket Gray is a pretty unique color. 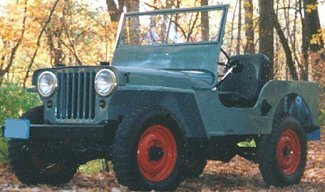 I was lucky enough to have a guy at NAPA who collected old color swatches and had one for Willys. He then gave it to the paint guy at NAPA and they made it."